The Optic facial skin scanner is one of the advanced images analysis system in the world, using digital images technologies via RGB and UV spectrum. The system can diagnose a lot of face's problems: acne spot, pores, pigment, wrinkles, creases, dye, ultraviolet rays or sunshine etc. To bring the damage with different degree to skin, hurting skin accurately the circumstance present at the front of client, and offer one set of medical suggestion for the client. Also can compare the different client's face images before and after beauty treatment on skin. The Optic facial skin scanner is one of the most dependable professional skin images analysis systems in the professional area. It is used extensively in the medical research and profession to examine, it can pickup the high resolution face images at RGB and UV two kinds of spectrum environments, thus science analysis skin characteristic, and can put forward the best character characteristic skin care project to client. 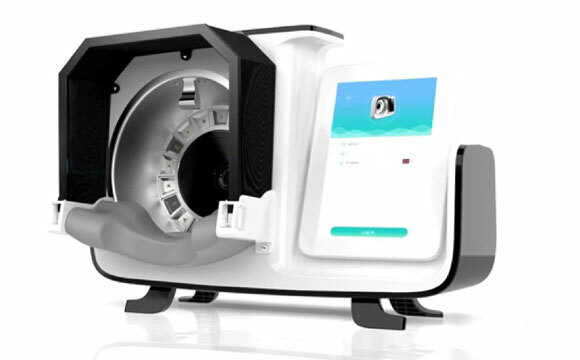 The Optic facial scanner system integrates the customer management system, together with the customizable beauty treatment suggestion/advice system. Based on that system, it can provide accurate treatment advice by selecting the pre-input treatment methods/beauty products according to skin analysis result. All analysis result and record can be saved or printed out. Yes. Please email us to book your consultation with one of our certified Serente Spa technicians prior to scheduling any treatments. This is for your own protection and we cannot make exceptions. During your consultation we will address any concerns you might have. You are responsible for informing your technician of any medications or natural health products you are taking, and of any underlying medical conditions you have. These are critical details that we must consider when customizing your Optic facial Skin Scanner treatments. We encourage you to ask all of your questions during your consultation so that we can address your concerns prior to beginning your treatment. It is important to us that you are well informed before you begin Optic facial skin scanner treatments, and you feel comfortable with our luxury spa and your technician. Serente Spa offers a consultation to allow you the opportunity to tour our facitlity, meet with a consultant and determine a customized treatment plan that fits all your needs. Show clients what the mirror can't? The OPTIC|Facial Skin Analysis System uses image capture from several different angles to properly assess the patients’ skin condition, uncovering UV radiation damage, wrinkles growing in the subcutaneous layers of the skin, clogged pores, moisture levels, brown spots, and more. When a client can see tangible evidence of their skin conditions, they are more likely to book the right treatments and products to immediately cure their damaged skin. How does Facial Scanning work? 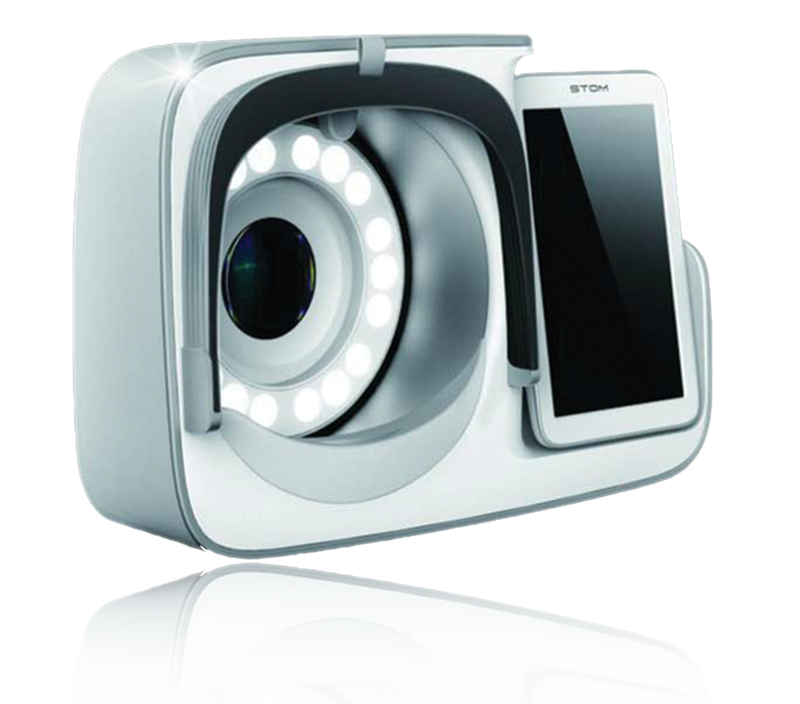 The OPTIC Skin Scanner is the world's most advanced skin analyzing device with 3 optimizing light filters. Revealing Skin issues such as spots, pores, moisture, textures, oils and wrinkles. The Optic takes 10 epidermis images that reveils skin care concerns. According to the test results of Optic Slim practitioners can recommend products and services for a tailor-made skin management program. The Optic is an essential skin detection and progress tracking device for the correct treatments, products and services as well as patient retention. 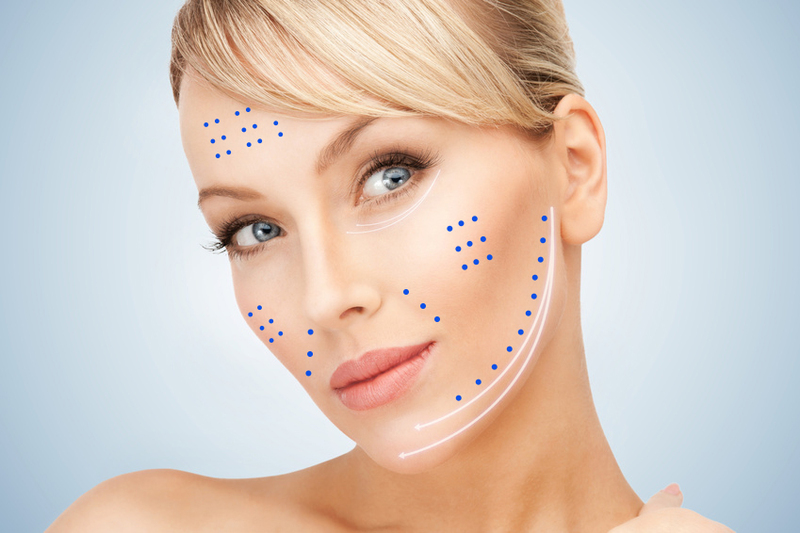 Learn why Skin Scanning is for you! Our skin is exposed to so many different elements, it’s difficult to know how healthy it actually is. Unfortunately, glancing in a mirror only shows what’s happening on the outer layers. Thanks to modern technology, skincare specialists can now see far beyond that surface layer and get down to the deeper problems plaguing our skin. The Science of Skin Scanning? 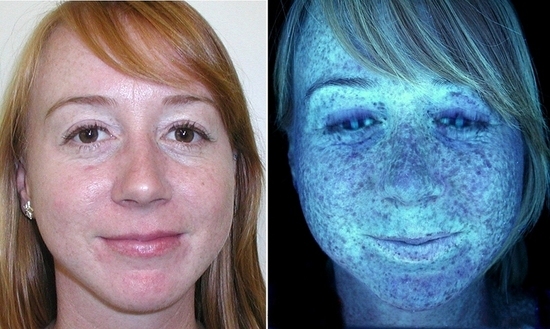 Skin scanners are machines that commonly use black lights or filtered UV lights along with a magnified mirror to view abnormalities. When the system emits light to the skin, the skin cells respond to it differently depending on their chemical makeup. 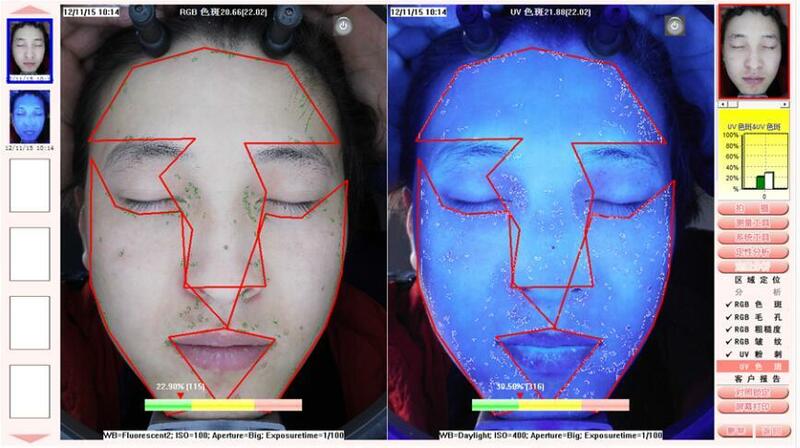 The reflected light is captured and analyzed by software, and the images show the skin’s current condition. Analyze various skin conditions, skin care and treatment? The Skin Scanner is an elaborate magnifying lamp using black light and magnification to show variety of skin imperfections that are imperceptible with the naked eye. 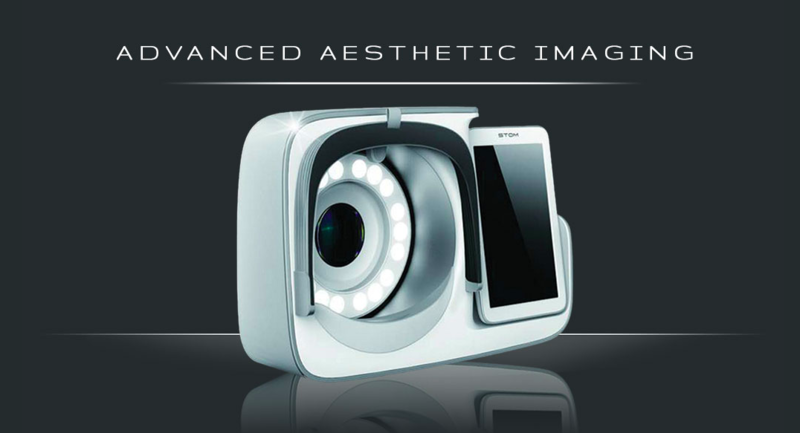 It has one-way magnifying mirror allowing the aesthetician to scan the client’s skin. 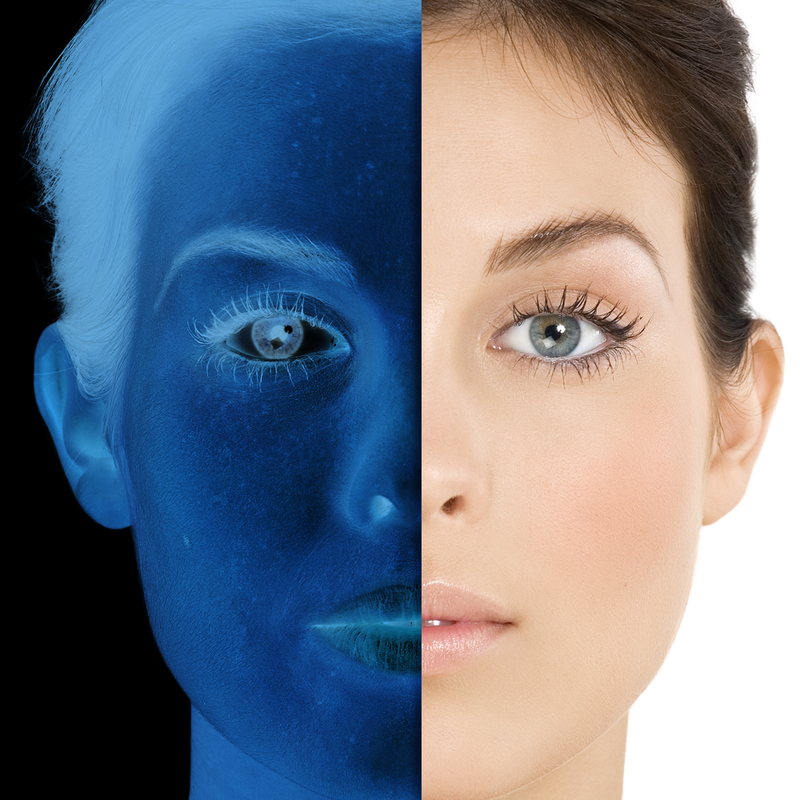 The self-encased skin scanner utilises UV light to reveal areas of depigmentation. Blackout cape on back panel allows for use during lit conditions. A mirror inside allows clients to view their reflection and follow along during diagnosis. Skin scanners can detect sun damage, oily and dry skin, blocked pores and even pigment disorders. Black and UV light skin scanners magnify issues that lie beneath the outer epidermal layer, which patients may never have known about otherwise. Once these issues are discovered, skincare specialists can better determine the right course of treatment to improve skin and even prevent future problems. Wrinkle analysis: Property, density, depth and cleaning ways. 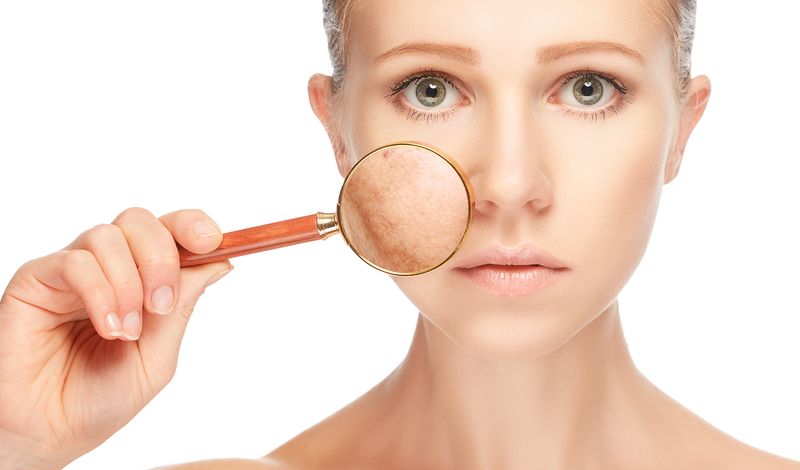 Recognize and diagnose skin problems? With the adaptability of modern treatments and technology, your exact skin type and even hair pigmentation can play a huge role in which procedure might suit you best, and how that procedure will be carried out by your cosmetic technician. Every variable, including your medical history and medical vulnerabilities, must be taken into account to ensure that your procedure is optimized for effectiveness and safety. skin analysis, as color of depth, property of skins and other skin problems. Scanning that magnifies your skin issue? Dermatologists and skin therapists are now using skin scanners on a regular basis to analyze the state of their patient’s skin. While the images on the scanner can be shocking, these machines can greatly help diagnose issues and help with further treatment. Speckles analysis: Analyze depth area, sizes, density accurately and how to dispel of speckles. The Magic Mirror facial scanner system is the best professionals equipment which provide suggestions for aesthetic and skin improvement applications. The System has the stability of the standard white-light (RGB) shooting system plus smart skin analysis software, which can accurately assess age of the skin, and the combined with special UV light shooting technique, the system can easily evaluate the future development of skin. Once the digital imaging system emits visible RGB light and safe UV light to the skin, various chromophores in skin cells respond to the light differently, send back remitted light. The reflected light is captured by the digital camera and analyzed by software for the light absorbed at various wavelengths, then the images created from computer analysis show the skin condition and future prediction.